Keystone Initiative: Regional Instream Flow Objectives and Water Policy | California Trout, Inc.
Establishing ‘public trust’ streamflows to sustain salmonids throughout their freshwater life cycles. 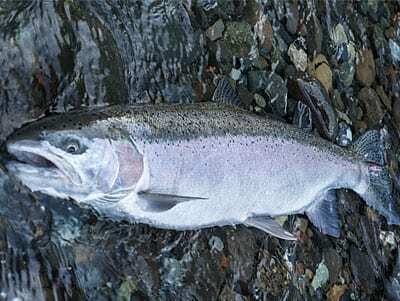 Gradually diminishing streamflows in the spring are the natural stressful condition salmon and steelhead encounter in the South Fork Eel River annually. But with each passing decade, low-flows are becoming more severe and occurring earlier, caused by legal and unauthorized diversions. Although individual diversions (legal and otherwise) generally are small, the cumulative total diversion within many South Fork Eel River tributaries is becoming significantly high. To improve water quality and avoid extinction of salmon and steelhead populations, water resource managers and their partners must work with the community of water users to implement water diversion management and water conservation measures. Eventually, the methodology developed in this program can be “regionalized” as water management policy.